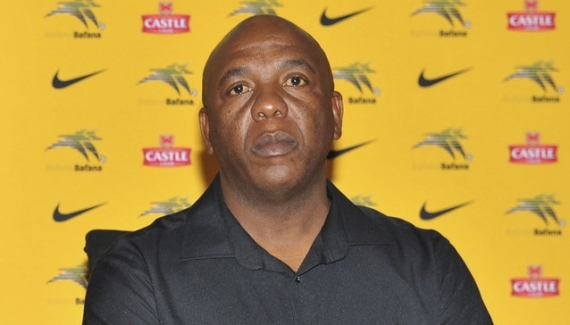 Bloemfontein Celtic have confirmed the composition of new coach Serame Letsoaka's technical team. Letsoaka was unveiled to the media today following his appointment last week. The former Golden Arrows coach has effectively swapped jobs with Clinton Larsen, who resigned from Phunya Sele Sele a fortnight ago after being told to change his assistant coach or walk. Siwelele revealed Duncan Lechesa will serve as an assistant coach to Letsoaka, Simon Gopane will continue as goalkeeper coach, while Lehlohonolo Seema will head the club's youth structures. Letsoaka's first assignment will be a League game against Chippa United in Port Elizabeth on December 18. It seems as if it doesn't rain but pours at Chippa United after assistant coach Floyd Mogale handed in his resignation letter at the club. Mogale was working under head coach Roger Sikhakhane, who has just been suspended by the club amid claims he reported for work "smelling of alcohol" during the Nelson Mandela Commemoration Cup on Sunday. Sikhakhane has disputed the allegations, saying the move is a plot to force him out of the job. "Yes, I can confirm that I have left Chippa," says Mogale. "I can't give more details, my legal team is handling that." The coaching upheaval could possibly see Dan Malesela handed the reins for United's last game of the year against Bloemfontein Celtic in Port Elizabeth on December 18. 'Dance' started working with the team as a second assistant coach on December 2. Moroka Swallows director Sipho Xulu is confident the club will be able to resolve the issues of player payment and things can go back to normal. Swallows players went on strike last week over the non-payment of salaries for the past three months. Xulu now says that management is still trying to secure the funds to pay those salaries. “I don’t want to make comment about the strike. The only thing I know is the club is still trying to sort out the issues of payment,” Xulu says. “We are working around the clock to sort things out and allow the situation to be back to normal.” Meanwhile, Swallows chairman of minority shareholders Charles Makhubo has urged the whole Dube Birds family to work together to try to stabilise the financial situation at the club. “We [the minority shareholders] are ready to help. We need to put our differences aside and help. It’s Christmas time and the players have to support their families and pay accounts,” says Makhubo. Zambian defender Davies Nkausu has resolved his pay dispute with Bloemfontein Celtic paving the way for a possible move to Free State Stars. Nkausu took legal action against Celtic after the club cancelled his contract on his return from a loan spell at University of Pretoria. The former SuperSport United man challenged the grounds of his dismissal and also contested the financial terms tabled by Phunya Sele Sele. The two parties, however, have since reached an out-of-court settlement. Siwelele chairman Khumbulani Konco also confirmed the matter has been sorted out. Mamelodi Sundowns striker Nyasha Mushekwi is poised to leave the club in January as he pushes towards finally releasing himself from the frustration that he has had to endure at Chloorkop. It has been reported that Sundowns are in agreement with Mushekwi that he will now be allowed to leave, with the club realising that the January transfer window will be the last chance for them to make money out of him. The Zimbabwean is out of contract at the end of June but he has already declared his intention to start playing football again as early as January. The options are widespread for the 28-year-old but The Brazilians hold the key. A return to Scandinavia is possible but the three clubs there keen on him have failed to reach an agreement with Sundowns over the transfer fee for a January move as they bargain towards a free transfer in mid-year. Locally another three clubs – all based in Gauteng – who still have foreign space are interested in having him as soon as January but they will have to dance to Sundowns’ tune for that to happen. 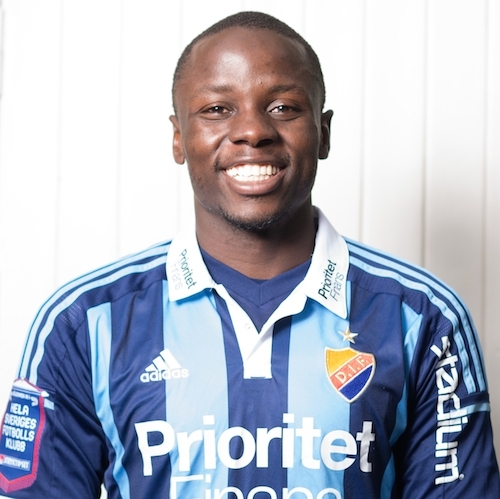 Mushekwi last played for Swedish Allsvenskan club Djurgadens IF earlier this year, scoring 12 goals in 18 starts and was also on another loan at Belgian outfit KV Oostende prior to that. He is not eligible to be registered by Sundowns due to the fact that the club has already exhausted its foreign quota. Orlando Pirates striker Thamsanqa Gabuza has preferred to remain cryptic regarding his future at the club despite the possibility of him signing a pre-contract elsewhere in January. Gabuza's contract with Pirates is set to expire in June next year, with speculation inevitably mounting that the CAF Confederation Cup joint-top scorer could be set to leave. The former Golden Arrows striker has been in fine form for the Mighty Buccaneers in recent times, helping his team finish as runners-up in the African tournament. Gabuza has refused to comment about his future at Pirates. “I don’t want to comment about my contract. It’s not yet finished,” he says. “I am still a Pirates player.” Gabuza has attributed his success in the CAF competition, where he finished as joint-top scorer with six goals, to determination and hard work. “It’s all about hard work and what you want in life. The coach [Eric Tinkler] has been helping me a lot and also Kermit Erasmus, especially in one-on-one situations [with the goalkeeper]. “I am happy about the award [as top goalscorer]. It’s a reward for hard work. The tournament has helped me a lot to grow as a player and playing against top teams like Zamalek has motivated me a lot as a player. “The CAF is gone now and we need to concentrate on the League,” Gabuza concludes. 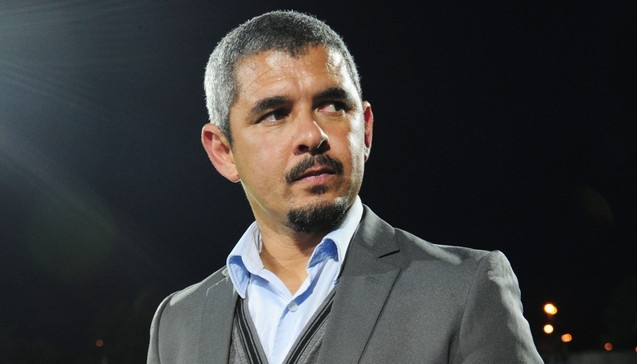 KwaZulu-Natal outfit Golden Arrows have named former Bloemfontein Celtic coach Clinton Larsen as their new head coach. “Lamontville Golden Arrows would like to announce that Clinton Larsen has been appointed as the new Head Coach at the club,” read a statement released by the club. The former Orlando Pirates and Manning Rangers player, who left his second stint as Bloemfontein Celtic coach last month, replaces Serame Letsoaka at Abafana Best’ende, who earlier this week was announced as Larsen’s replacement in the Free State. Arrows also revealed that former Maritzburg United head coach Mandla Ncikazi will join as Larsen’s assistant. “We welcome both coaches to the team and wish them well during their stay with us,” the statement concluded. Larsen and Ncikazi’s only task left for 2015 is their PSL encounter against Polokwane City on 19 December. Mpumalanga Black Aces coach Muhsin Ertugral has no intention of bringing back Orlando Pirates’ out-of-favour forward Tendai Ndoro during the January transfer window. Ndoro has found no joy at Pirates since joining at the beginning of the season from Aces, with just two starts and a single substitute appearance to show this season. The Zimbabwean striker led the way with goals during his time at Aces striking seven in half a season before adding another seven last season, leading to his move to the Buccaneers – where he is behind Thamsanqa Gabuza, Kermit Erasmus and Lehlohonolo Majoro in the queue for game-time. Mpumalanga Black Aces goalkeeper Jackson Mabokgwane is unlikely to play again this year due to a knee injury. The Bafana Bafana international has ruled himself out of action for two to three weeks. Mabogkwane posted a message on Instagram, which read: "That might be it 4me this year. Out for 2 to 3 weeks but I'm glad I've finally sorted this knee that was troubling me. 2015 u've been good to me, thanx to everyone who've made a contribution towards all I achieved this year. Above all Thank you Lord for all ur blessings upon me and my family's life. My best is yet to come! God is great #namanje." Aces will end 2015 with a League match against Ajax Cape Town at Mbombela Stadium on December 19. Shu-Aib Walters stood in goal in AmaZayoni's previous two games against Jomo Cosmos and Bloemfontein Celtic. Maritzburg United are at advanced stage in getting back former full-back Rheece Evans from Mamelodi Sundowns, either permanently or on loan. Evans left Maritzburg for Sundowns at the start of last season alongside defender Mario Booysen as the Team of Choice loaned Sundowns three of their players – Kwanda Mngonyama, Abel Mabaso and Sibusiso Kumalo. Evans almost left Sundowns at the start of this season for Ajax Cape Town – even playing in some of the Urban Warriors' pre-season matches – but the move fell through as the Cape Town-based club pulled out of the deal. Maritzburg chairman Farouk Kadodia has revealed that the club and Sundowns are in discussions to move the player back to Durban during the January transfer window. It is believed the Team of Choice will go big in the January transfer window, with Kadodia having sleepless nights due to the situation at the club as they prop up the log table. Evans has fallen out of favour at Chloorkop and is behind Siyanda Zwane, Asavela Mbekile and captain Ramahlwe Mphahlele. He is yet to feature in the League this season. Last season Mabaso filled that role and this season Maritzburg have used versatile midfielders Nhlanhla Mkhize and Ryan de Jong at full-back, but both players have failed to live up to expectations. SAB and SAFA continued to roll out the SAB League Study Assistance Programme aimed at providing football players the opportunity to further their academic studies at the SAB Springfield Depot in Durban, KwaZulu-Natal. The SAB League Study Assistance Programme is an innovative addition to the tournament’s holistic approach to football development and will see SAB taking its holistic approach to football development to a totally new level. This new and exciting programme has already been launched in Gauteng, Mpumalanga and the Eastern Cape during the month of November. The Study Assistance Programme was introduced as a means of providing players a solid academic foundation in addition to their sporting careers. This will allow them to expand their career options outside of football if they wish to do so in future. The programme will be open to eligible SAB League players between the ages of 18 and 21. There are several selection criteria for entry into the study programme, including academic history. In addition to the new Study Assistance Programme, the SAB League will launch a Skills Camp for players, match officials, coaches and club officials to help develop and maintain skills capabilities. SAB League SAFA Coordinators will also receive computer skills training and resources. These skills will afford them the ability to fine-tune the smooth operations of the SAB League. The SAB League has over the past 15 years been South Africa’s most trusted source of football talent, having produced quality players from Kwa-Zulu Natal. Through its partnership with SAB, the league will now have a strong focus on the overall development of players, coaches, match officials as well as club owners through its new innovations. 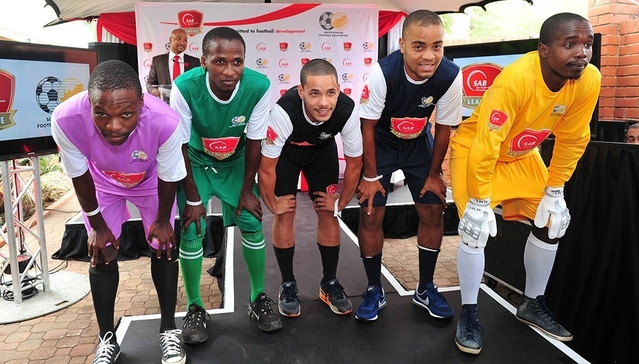 Speaking at the 2015/16 season launch and kit handover in Durban, SAB’s Economic Development Manager for Corporate Affairs, Octavius Phukubye said that the league’s new focus on youth development reaffirms SAB’s commitment to accelerate efforts of creating sustainable access to economy for young people. SAFA KwaZulu-Natal NEC Member and head of competitions, Mr Kwenzakwakhe Ngwenya thanked SAB for their valuable support to the association mandate of football development. The SAB League Kit Handovers will conclude next week in the Northern Cape. AmaZulu hereby takes the opportunity to inform the football community that 25-year-old left-back Sfiso Hlanti is still an Usuthu player who is under contract for the remainder of the 2015/16 football season. No deal or transfer agreement to sell the player to any club has been reached. The club would like to put on record that a Daily Sun newspaper report of 3 December 2015 misquoted the club’s media officer on the matter. The player was offered an opportunity to renew his contract but opted against signing hence efforts by the club to listen to any offers from other clubs in the upcoming January transfer window. AmaZulu remain focused on its National First Division campaign with the well-being of the squad top of the priority including that of the defender. The growing media interest in Hlanti which has also sparked unconfirmed comments doubting the player’s professionalism are not endorsed by the club. Chippa United have confirmed the appointment of Dan Malesela as assistant coach to Roger Sikhakhane. The news broke on December 30th that the former Orlando Pirates and Mamelodi Sundowns defender was heading to Port Elizabeth to join up with the Chilli Boys after leaving Cape Town All Stars. “We would like to confirm the appointment of Dan Malesela as an assistant to head coach Roger Sikhakhane. ‘Dance’ started working with the team on Wednesday, 02 December,” the club said in a statement. Zimbabwean forward Knox Mutizwa has become the latest striker to be afforded a trial at Bidvest Wits as Gavin Hunt continues his search for a new option up-front. Mutizwa has just finished as top scorer in the Zimbabwe PSL with 14 goals in 17 starts for Highlanders. The 22-year-old will spend this week at Sturrock Park and will also play in a friendly match before returning home at the end of the week. Mutizwa has been named amongst the 11 best players in Zimbabwe from this past season and arrives high on confidence as he seeks to win a contract across the Limpopo River. Wits recently had English striker James Keene on trial with the club, but chose not to rush into offering him a contract. Kenyan striker Michael Olunga was also on trial in August, but nothing came out of that training stint. 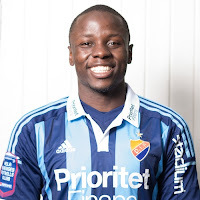 The Clever Boys have kept one foreign space open which allows them to still sign another foreign player during the course of the current season. May Mahlangu made a victorious full debut for Benni McCarthy's Sint-Truiden at Andile Jali's expense, while Ayanda Patosi and Dino Ndlovu scored again in European action on the weekend. Daylon Claasen started for German Bundesliga II side 1860 Munich as they lost 1-0 at home to FSV Frankfurt to remain in deep relegation trouble. Kagisho Dikgacoi came on for Cardiff City in the final two minutes of their thrilling 3-2 victory over Bolton Wanderers in the English Championship. The win moved the Welsh side into the promotion play-off places. Andile Jali’s KV Oostende lost 2-1 to Sint-Truiden with the Bafana Bafana midfielder taken off on 65 minutes. Bafana legend McCarthy is the assistant coach at Truiden. Darren Keet played for Kotrijk as they lost 3-1 at Lokeren in the Belgian league. May Mahlangu made his first start for Sint-Truiden as they defeated KV Oostende 2-1 in arguably their best away performance of the season. He has also made two sub appearances since signing last month. Mandla Masango was replaced at halftime for Randers in their 0-0 draw with Hobro in the Danish league, which now goes into a winter break until late February. Kamohelo Mokotjo played for FC Twente as they ended a five-game losing streak with a 1-1 draw at his former side Excelsior Rotterdam. Dino Ndlovu was back to scoring ways in Cyprus when he came off the bench to net from the penalty-spot for Anorthosis Famagusta in their 2-0 victory at Enosis that keeps them in top spot in the league. It was a ninth goal in 11 starts for Ndlovu this season. Anele Ngcongca was back in the starting line-up for French Ligue 1 strugglers Troyes as they managed a 1-1 draw at Reims. Ayanda Patosi scored the third goal for Lokeren past Keet in their 3-1 success at home to Kortrijk. It was his fifth of the season. Lebogang Phiri came on after 70 minutes of Brondby’s 2-0 away win over FC Nordsjælland having overcome back problems. Tokelo Rantie was back on the bench for Bournemouth after his leave for personal reasons but did not get on as The Cherries stunned Chelsea 1-0 at Stamford Bridge to move out of the relegation zone. Thulani Serero was an unused substitute for Dutch league leaders Ajax Amsterdam as they thumped Heerenveen 5-2. South Africa-born defender Michael Travis scored for Scottish third-tier side Forfar Athletic as they won through to the fourth round of the FA Cup with a 2-1 replay win over Queen’s Park.